Reinforced with Berkley’s Maxscent flavoring, the Berkley. 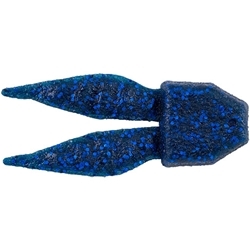 Designed with a classic chunk profile, the Berkley Powerbait Maxscent Power Chunk features bunny ear appendages that generate very natural crawfish movements and a beefy body to add extra bulk to your jigs skirt. Offered in a range of natural matte colors, the Berkley Powerbait Maxscent Power Chunk is perfect for anglers who love to fish and old style chunk trailer.